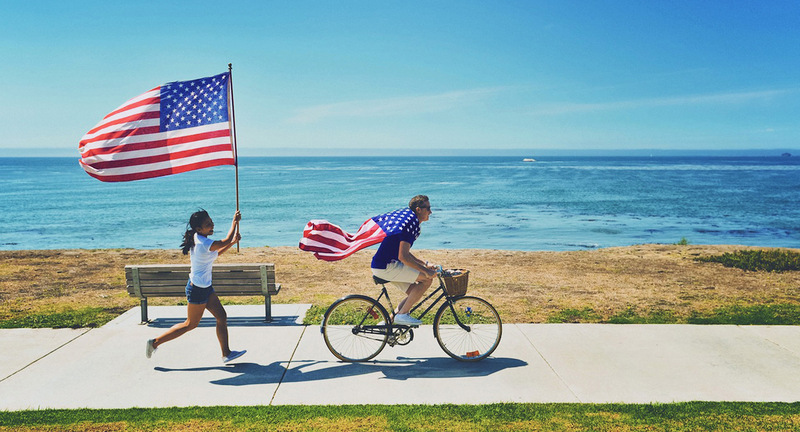 Three day weekend, warm weather, beautiful beaches, and endless events - Orange County has everything to make your Labor Day weekend the best one yet. Every Labor Day weekend, historic Old Towne Orange transforms into a three-day cultural melting pot. The Orange International Street Fair is a celebration of local ethnic groups’ food, culture, and community. Guest have a unique opportunity to enjoy live music and world-class cuisine from far away places. The global fair includes a “children's street” featuring arts & crafts booths and live entertainment. The fair is located at Old Towne Orange Plaza, Chapman Ave. and Glassell St., Orange, and opens to the public at various times throughout the weekend. The Orange International Street Fair runs Friday: 5-10pm, Saturday: 10am-10pm, and Sunday: 10am-9pm. September in Orange County is the most ideal time to go the beach: beautiful 80-degree weather, blue skies with dashes of white, late summer swells, and best of all fewer crowds. Spend your Labor Day weekend soaking in the last of the summer sun on Orange County's 42 miles of picturesque coastline. Every Labor Day weekend the Orange County Fair parking lot plays host to a spectacular display of vintage cars. You can indulge in mouthwatering street food and listen to live music as over 1,000 pre-1978 manufactured cars, hot-rods, and novelty international vehicles parade around the 1.25-mile track. Stop by September 1st and 2nd to enjoy one of the nation's largest vintage car cruises. On September 2nd, over 200 local Laguna Beach artist will flock down Laguna Canyon Drive to take part in the last day of the 52nd annual Sawdust Art & Craft Summer Festival. Founded in 1967, amidst the small but mighty flower power movement in Laguna Beach, the Sawdust Festival was created as a place local artists could display and sell their work. Some of the festival's crafts include hand-blown and fused glass, paintings, jewelry, clothing, photographs, and much more. After shopping for some handcrafted goods, stop by one of the three music stages. The festival takes place at 935 Laguna Canyon Rd, Laguna Beach. Do you have a favorite Labor Day tradition or an event not included here? Comment below and tell us how you plan on spending your Labor Day weekend.